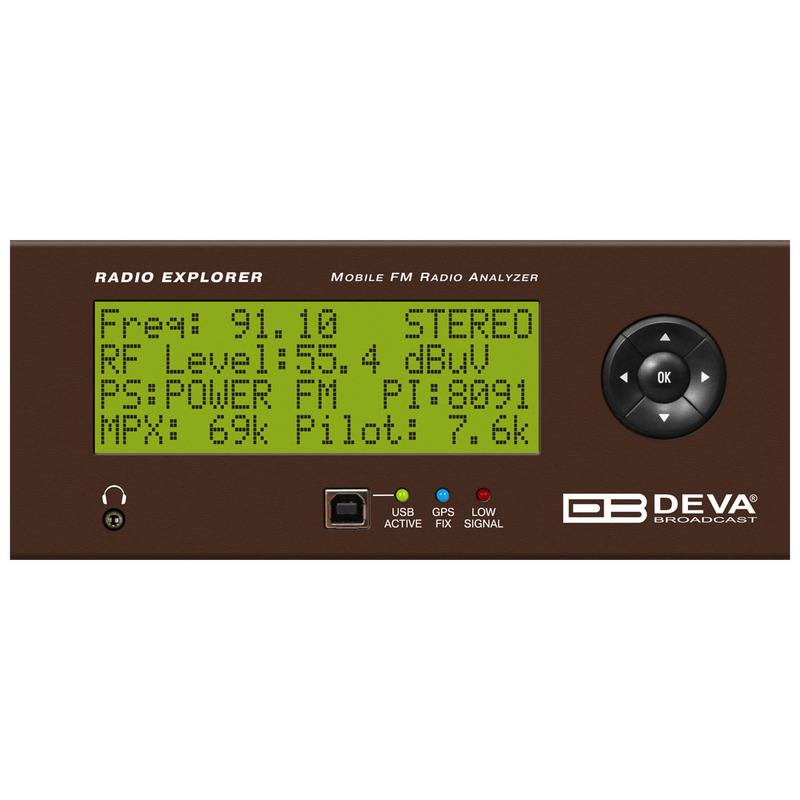 The Radio Explorer is a multifunctional, easy to use tool, designed to evaluate FM broadcast band congestion and to measure and store all important radio broadcast parameters in a Log file. This is a stand-alone solution for running surveys – no other additional tools are needed. You can setup for observation up to 50 preselected channels. All you need to do is to get Radio Explorer in the vehicle and go. When your campaign is over just use the supplied free of charge Windows software to convert the log files into KMZ format and visualize the stored data in Google Earth. Thus you can “get the picture” of what really happens in the field, to outline the coverage of every station compared to competitors’. 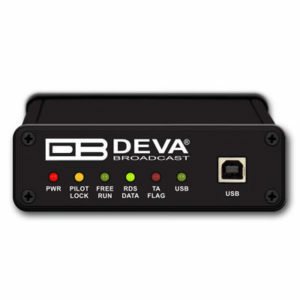 Such functionality is irreplaceable when you need to analyze and tune your broadcast equipment and antenna. The Log file can be exported also as a transitional format for future analysis or could be kept in record. 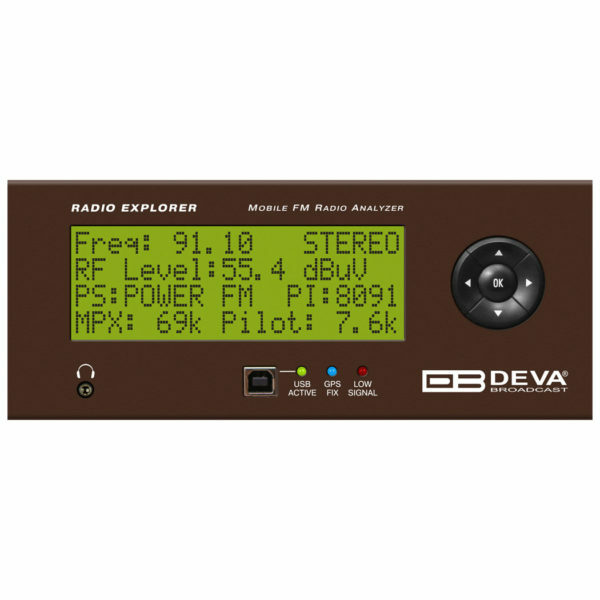 With a click on the button the Radio Explorer becomes an excellent tool for analyzing and setup of the whole broadcast equipment on the site. It can measure RF level, MPX deviation, Left & Right Audio levels, RDS and Pilot injection levels and display the measurements on large, easy to read LCD display. Easy switching between RDS/RBDS standards and measurement units makes Radio Explorer a suitable choice for broadcast engineers from all around the world. For even better control and data representation connect the device to an ordinary Windows PC, via a USB port. You can choose between various bar-graphs, data plots, histograms and etc. A super-fast band scan mode is available and gives you real-time live visualization of the whole FM band or just a small part of it with down to 5 kHz resolution. All of the device’s or the campaign settings you can do by using software or via very intuitive and sample user interface with 5 buttons and LCD screen. 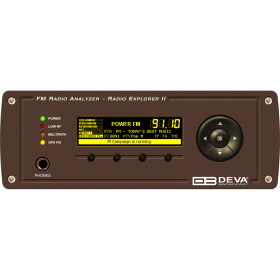 The Radio Explorer incorporates a high quality FM front end with all MPX signal and RDS parameters data logger and high sensitive GPS receiver in reinforced steel box. Additional MPX input is available for monitoring as well as MPX output, left and right “program output” and AES/EBU digital audio output. The inputs are for FM and GPS antennas and for power supply. The program received can be monitored with headphones plugged into a standard 1/8″ jack with electronic volume control.